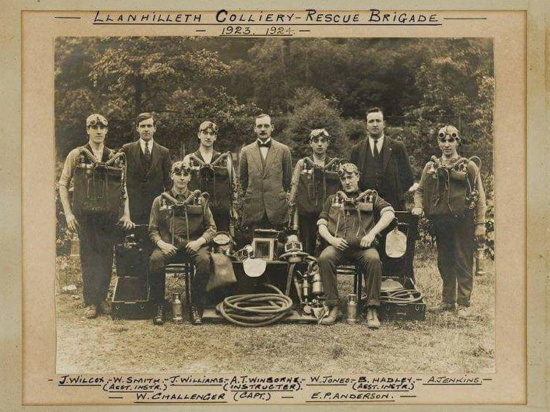 The photograph shows the colliery Rescue Brigade from 1923 – 1924. Standing: Left to Right: J. Wilcox – W. Smith (Assistant Instructor) – A.T. Winbourne (Instructor) – W. Jones – B. Hadley – A. Jenkins. Seated: Left to Right: W. Challenger (Captain) – E. P. Anderson.